This alfresco dining area come entertainer’s deck has it all. 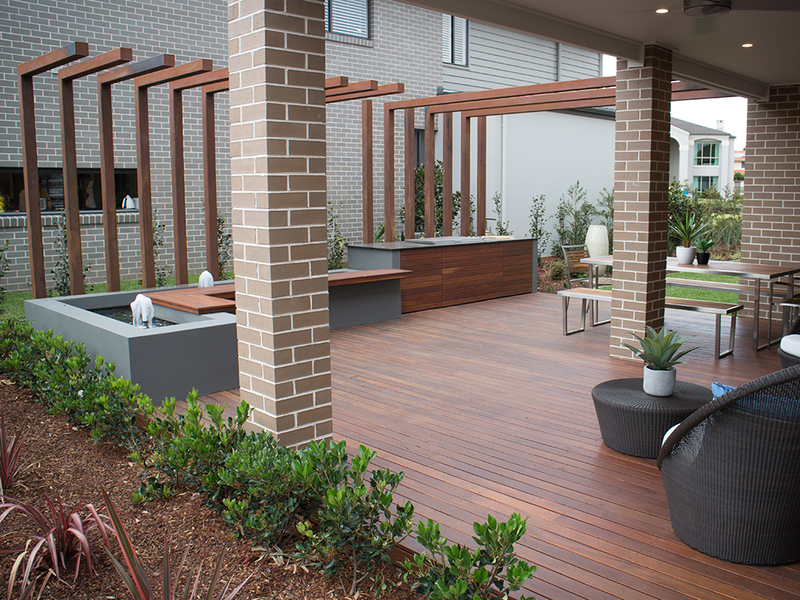 From the enclosed alfresco constructed with the home the deck flows seamlessly out to an open pergola. The custom built outdoor kitchen has a granite bench with an integrated grill, sink and under bench storage. This outdoor kitchen is ready to accommodate all your summer barbeque needs. 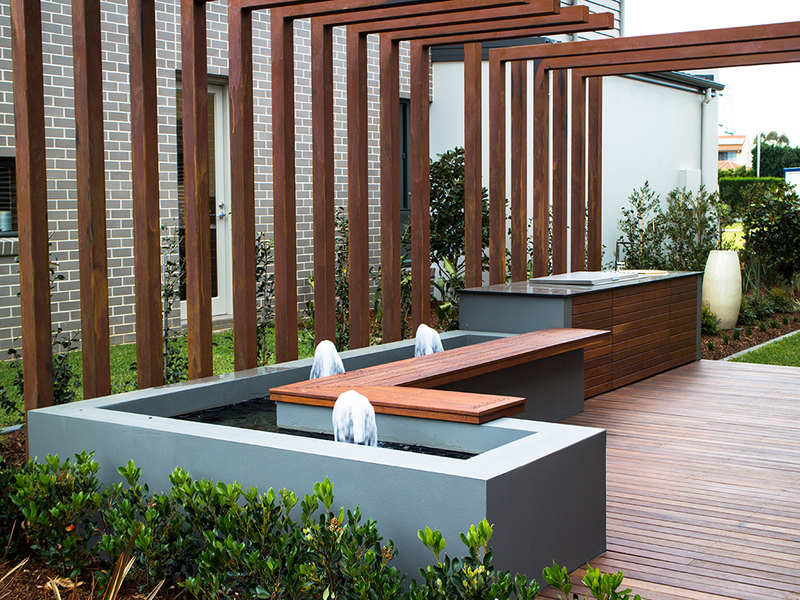 Adjoining the outdoor kitchen is a raised pond water feature which has an inbuilt hardwood seat atop the pond wall. The “L” shape design of the pond means the seating is a great place for people to congregate at parties.